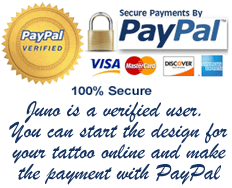 Looking for a custom design for your tattoo? *A custom tattoo design made by me is an unique piece of art created just for you, to do an UNIQUE tattoo. This is not an ordinary design taken from the web or a catalogue of the tattoo shop of your town and wearing by dozens of people.